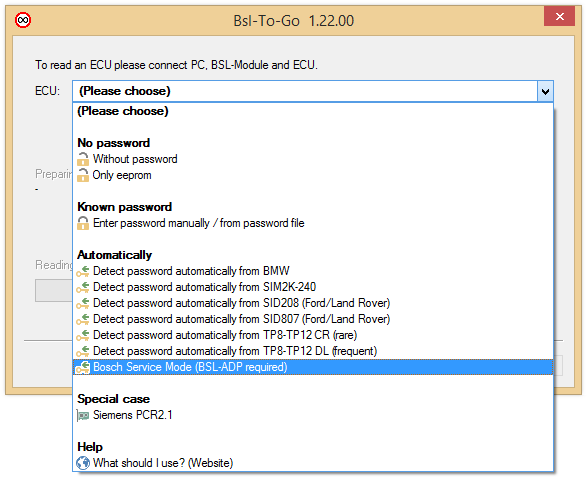 Lately, we have been able to realise fewer and fewer ECUs with our boot mode tool BSL100 because all the ECUs are password protected and these passwords could not be read out. 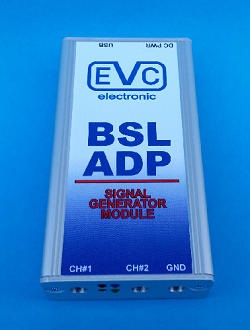 The BSL-ADP, which will be available shortly, provides a new method of accessing the ECUs, enabling you to read out the passwords and then via boot mode to read and program the contents of the processor, EPROM or EEPROM. This BSL-ADP works only with the BSL100 and includes the license to activate this option in the BslToGo or WinOLS software. It has its own power supply and a USB connection to the computer. The required driver will be installed automatically with the current versions of BslToGo and WinOLS. In addition to a ground line to the BSL probe, there are two jacks on the BSL-ADP. These are connected to pins on the ECU, using 2mm test leads and two test clips. We will be publishing pictures of this procedure on our website.